BendLay is another alternative filament from Orbi-Tech, the developers of LayBrick and Laywoo-D3 3D printer filaments. By design the BendLay is supposed to be something in between ABS and PLA in terms of properties and is intended to be used where ABS is too hard and flexible PLA is not tight enough, even though the filament is essentially a modified ABS . The BendLay is available in the form of transparent glass-like form only and according to the manufacture is: clear like Polycarbonate, bendable and resilient, high-impact resistant and unbreakable, easier to print than ABS, has no stress whitening by bending, with high interlayer adhesion and is apparently food-safe. It is supposed to be printed between 215° to 240°C and should be printable at high speed offering thermal stability the same as PLA (65 – 70°C). The most significant advantage that the BendLay has is that it is highly bendable without breaking, but is not as flexible as a flexible PLA filament, so it will not break very easy when you bend it as ABS or PLA might, but at the same time it is also not too flexible to be rubber like. So far it all sounds good, so we have ordered a sample of BendLay filament to try it out. We tested it on out MakerBot Replicator 2 printer, but unfortunately we did not have very good success in printing with BendLay. We did not see the specific requirement for a heated build platform for using with this filament, but apparently it is required to get good printers. We have tried different extrusion temperature from 210 to 250 with both slow and fast printing speeds, but the filament was just not sticking well enough to the build plate. We have properly leveled build plate with 3D blue painters tape on it and when printing with BendLay on it we are seeing that there is slight warping at the edges of smaller objects and trouble with the printed part sticking good enough. So after a few layers we usually get the object detached form the build plate and he print failing, regardless of what settings we have used. People with heated build platform may have more success, but if you don’t have one you might want to stay away from BendLay and save yourself some trouble trying to figure out why you are getting so many failed prints. The Orbi-Tech LayBrick is another interesting 3D filament that allows you to print models that look and feel like they are made from stone and not from plastic. This 3D printer filament is very similar to the Orbi-Tech LayWoo-d3 that we’ve recently also tested, however instead of wood we have a stone-like effect of the printed models. To be more precise the LayBrick 3D printer filament creates prints that look more like ceramic material when smoother or more like sandstone when the print is rougher, depending on the temperature you use for printing. The filament is apparently made from thermoplastic polymer combined with very fine milled chalk powder. It is apparently designed to be printed with extruder temperatures ranging from about 165°C to above 210°C, but we are going to be testing to see how the different temperature affects the result. The LayBrick filament doe snot require a heated build platform, so it should work on pretty much any standard printer made to work with PLA filament. The thermoplastic used as binding material for the chalk powder should be stable up to about 70 degrees Celsius temperature according to the specifications for the LayBrick, so pretty much the same as for most PLA filaments. Other manufacturer recommendations are to use a layer-thickness from 0.1 mm to 0.5 mm, max infill of 25%, and to wait some time for the material to harden before you remove it from the build platform after the printing is finished. 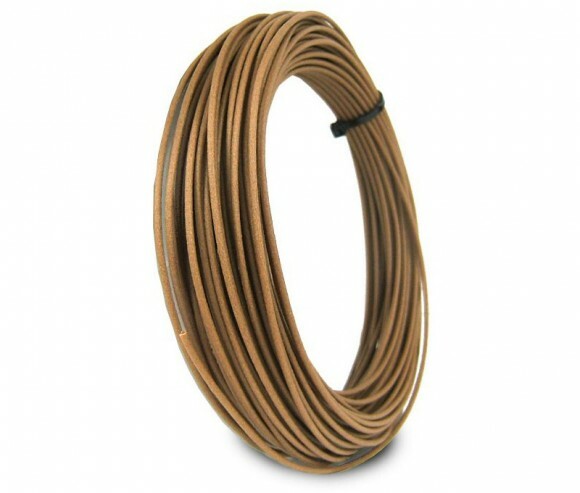 The LayBrick, similar to the LayWoo-d3 3D printer filament, should also be handled carefully when you load it and unload it to the printing head as it is easier to break than standard PLA,, but unlike the wooden-like material the stone-like one LayBrick did not cause us any jams of the extruder. The fact that we did not have trouble with the filament jamming the extruder is because it seems that the chalk powder is finer than the wood particles and higher temperature does not affect chalk like the wood. When printing our test simple house with LayBrick the temperature range and results turned out to be pretty similar to what we got when using LayWoo-d3, you can see the results from our test prints on the photo above. We have used our MakerBot Replicator 2 3D printer using the Standard setting for 0.2 mm layer height and 60 mm/s speed while extruding with temperatures of 160, 180, 200, 230 and 250 degrees Celsius. As you can see on the photo with the printed examples using lower temperatures such as 160 and 180 degrees Celsius the surface looks smoother and the layers are harder to distinguish, going up to 200 degrees produces good results in terms of the look and feel of the printed model. Going for higher temperatures such as 230 (the standard we use for PLA) or even higher up to 250 degrees Celsius results in not so even layers, but that can be used as an advantage and effect should you need to have this kind of effect on purpose. The Orbi-Tech LayBrick, much like the LayWoo-d3 3D printer filament is an interesting experimental product that when handled properly can help you make some really nice prints should you need a wood-like or stone-like look and feel. These filaments need a little more care when handling and when the print is finished you may want to wait a few minutes for them to harden before you remove them from the print bed. The ability to achieve different look of the printed part when using different temperature when printing can also be quite useful for people that want to play with these, especially for artists that want to make more original and attractive 3D printed materials. We definitely like the results we got and after testing these materials for a bit and now know how to handle then and with what settings to print. LayBrick and LayWoo-d3 filaments however do remain a more niche products that may be great to have if you need the kind of look and feel they provide, but that probably won’t be very often for most people. The price of these filaments is also a bit steep compared to more traditional and widely used materials, so doing large 3D prints may turn out to be pretty expensive, never the less if this is the kind of effect you need for a project there is not much you can do. The Orbi-Tech Laywoo-d3 is an interesting 3D filament that allows you to print models that look and feel like they are made from real wood. The LayWoo-d3 is an experimental filament that is made from recycled wood combined with a special polymer to make the wood printable (40% recycled wood and 60% binding polymer). This allows the 3D printed part to get the look and feel of actual wood, even though it is printed on a 3D printer, and you can even get different coloring by varying the temperature at which the material is being printed. As with different temperature the wood particles in the filament get “burned” more and can become darker with higher extruding temperature, however you should be careful not to get the printing head jammed. Also the material is pretty expensive compared to standard types of filament such as PLA or ABS, but when properly printed the result can be totally worth it. 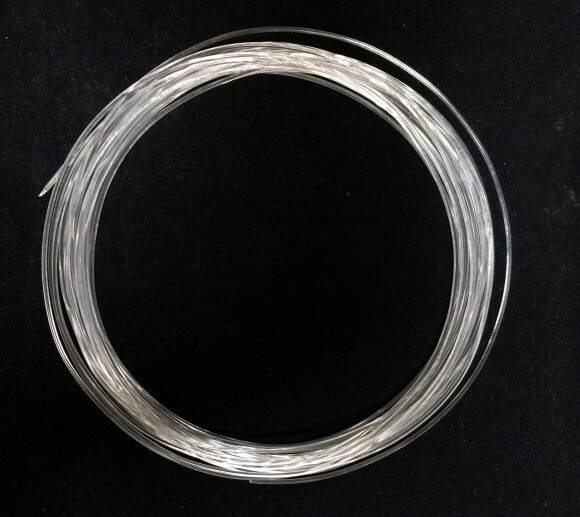 We have ordered a short sample of the Orbi-Tech LayWoo-d3 3D printer filament to try it out and below you can find our initial impressions and tests from the material. 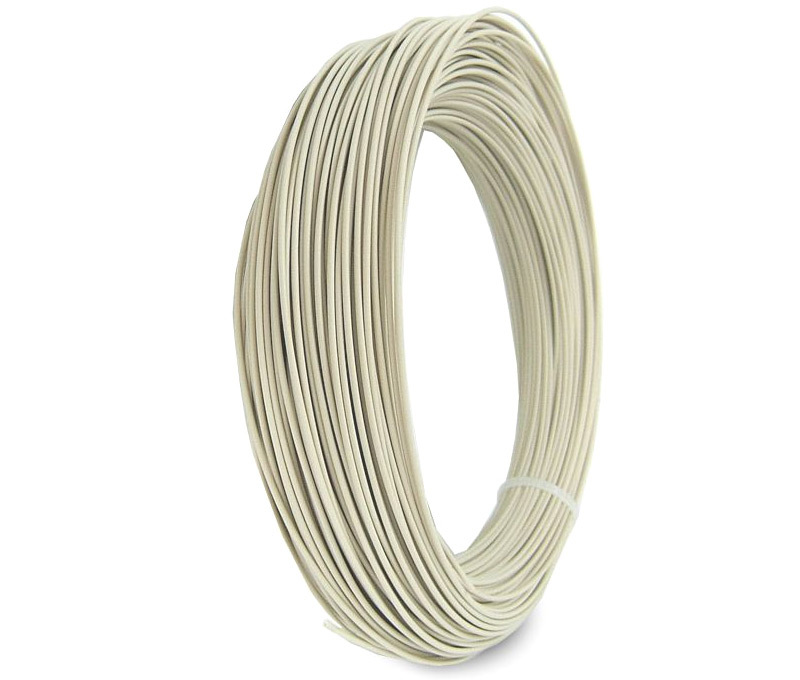 Orbi-Tech’s LayWoo-d3 3D printer filament is designed to be printed on printers that are capable of working with normal PLA filaments – there is no need for a heated build platform, so this means wide compatibility. The recommended extrusion temperature by the manufacturer for the filament is ~175° C (bright) and ~250° C (dark), and by increasing the temperature you should be getting a darker looking wood in the resulting print. You can even play with temperature of the various layers to create interesting effects similar to actual wood like annual rings for example, tough that will require some extra effort on the software side when preparing your 3D models to be printed. There is a useful web-based tool to help you create this wood layers effect for your existing models, you need to upload your gcode model and it will modify it based on the parameters you want and give you the new file to use with your 3D printer. The LayWoo-d3 3D printer filament should be handled more careful when you load it and unload it to the printing head as it is easier to break than standard PLA for example. When you have a 3D print using this material however you will notice that it seems to be quite flexible, especially if it is not slid inside – for more wood like behavior you should print with more infill and you can even have the objects printed with solid inside or make them more durable. While we were experimenting with the filament on our Makerbot Replicator 2 printer we have managed to get the LayWoo-d3 filament stay for longer time in the extruder and that has caused it to jam, so we had to clean it up and what came out was black totally burned wood. So we can recommend to be careful when printing with this filament and to purge it with regular PLA for example when you are done printing in order to avoid the possibility of the filament burning up inside and jamming the printer. We have tried printing the same 3D object – a simple small house like the one for the Monopoly game, using different temperatures as per the manufacturer’s recommendations and we’ve had mixed results, so we even checked what other people recommend for when using the LayWoo-d3. In the end we can say that different printers and users seem to have varying experience using this filament, so it is bets to try and see what works best for you. We used the Standard 0.2 mm layer height and 60 mm/s speed while extruding on the Replicator 2 for the tests and with higher temperatures such as 230 or 250 degrees Celsius we’ve got darker looking prints, but the layers did not print very well and consistently, going for 200 degrees and lower down to 160 the results were much better, even though we were only getting lighter shades for the wood. Interestingly enough the lower temperature has made the printed 3D objects to look more seamless and the layers that were used for their printing to be harder to see, with higher temperatures the layers were more pronounced and easier to sot. Again, you should test and see how the filament works best for you – at what temperature and what extrusion speed etc.